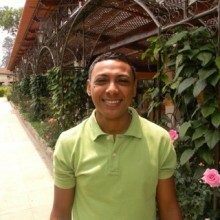 Lemuel Vega (Mexico 2009) participated in the UN Climate Change Conference (COP 17) in Durban, South Africa as a member of Advocates for Youth’s (AFY) climate change youth advisory board. As a board member, Lemuel blogged about his experience at the conference, this included interviews with delegates from South Africa and Brazil on their work on climate change and sexual and reproductive rights. He also met with Christina Figueres, Executive Secretary of the United Nations Framework Convention on Climate Change (UNFECC), regarding the feedback provided by several GOJoven Fellows on the COP 17 Global Youth Support Sexual and Reproductive Health and Rights Policy Statement. During COP 17, Lemuel helped organize and implement an action on World AIDS Day that creatively captured the global effects of HIV/AIDS. Participants wore read and played with a globe to illustrate how we are playing with our future by not paying closer attention to the consequences of HIV/AIDS.